The Best Way to Hardboil Eggs is to STEAM Them! By Lisa Steele on August 12, 2012 Visit Lisa's Website. by Lisa Steele I love hard-cooked eggs. I keep a container of them in the frig and like to pop one in my mouth for a quick, nutritious snack.The one downside to fresh eggs is how hard they are to peel. Everyone says ‘just put them aside for a few weeks and then they’ll peel fine’. Well, to me, that defeats the purpose of raising chickens and having fresh eggs if you’re just going to let them sit around and get old. 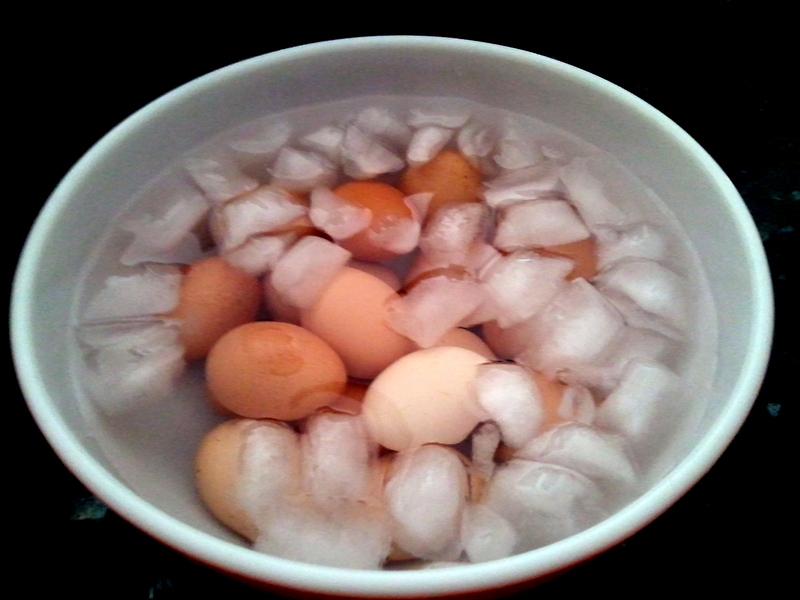 I was determined to figure out how to get perfectly peeled hard-cooked eggs. 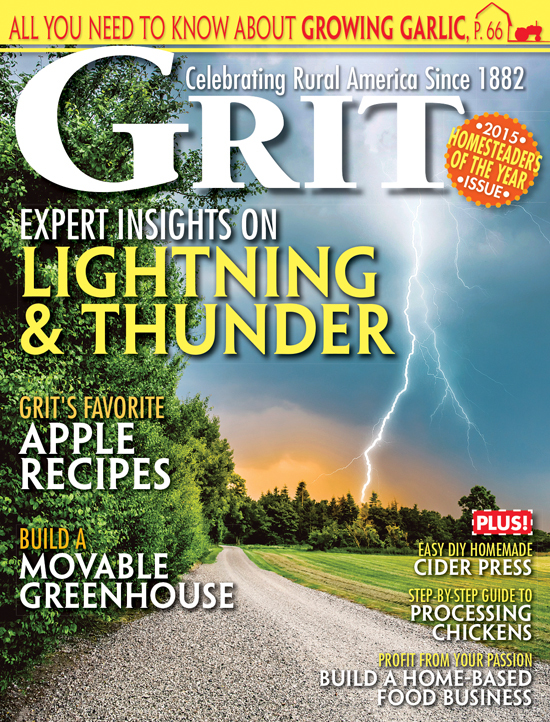 I tried every method that I could fine – with mixed results. 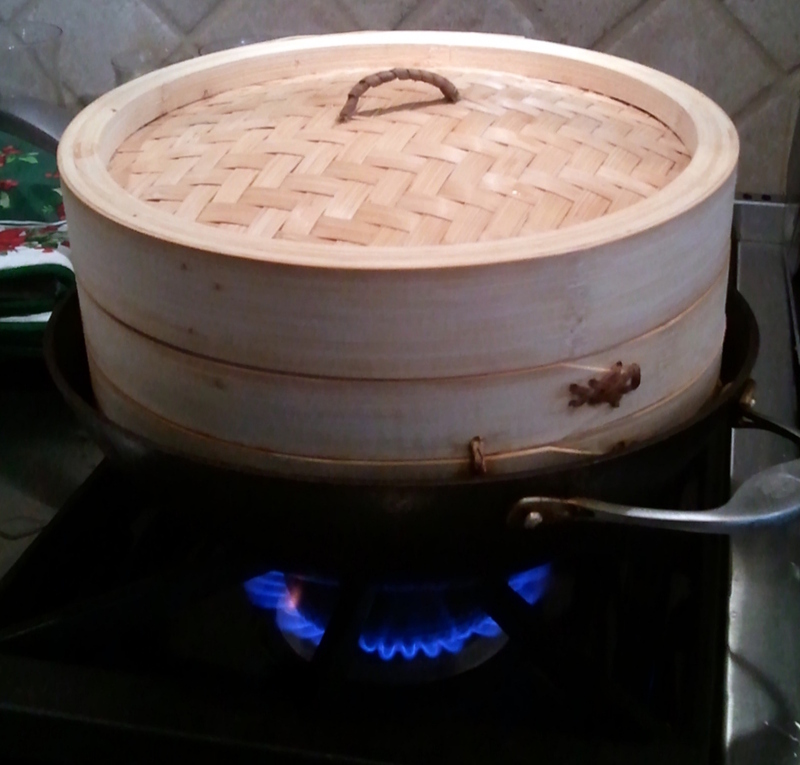 Heat water to boiling in the bottom of a double boiler, vegetable steamer or bamboo steamer. 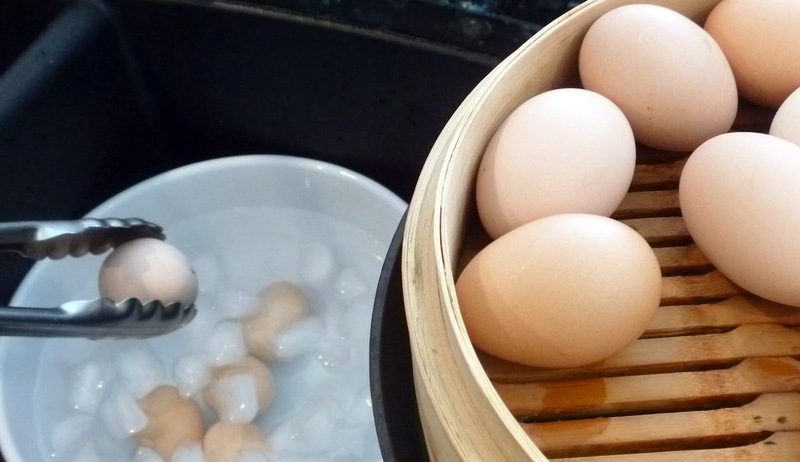 Rinse your eggs in warm water (trust me, you CAN use eggs you just collected that morning if you want) and place them in the top of the steamer. 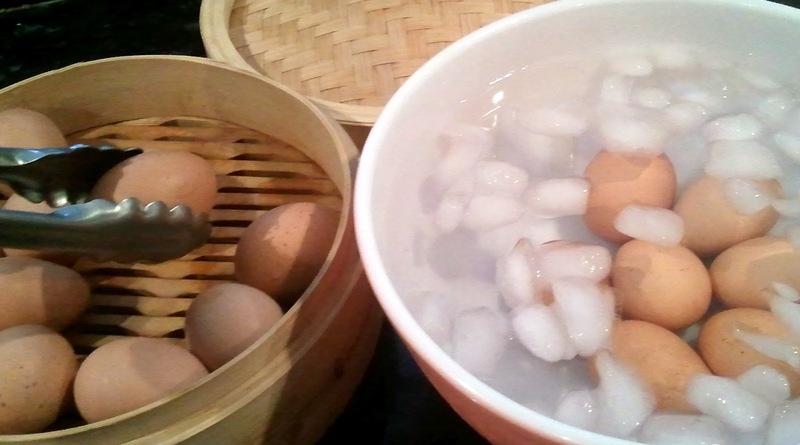 Steam for 20 minutes and then plunge the eggs into a bowl of ice water until cool enough to peel. Roll each egg on the counter to break the shell and then crack the wide end of the egg and peel. 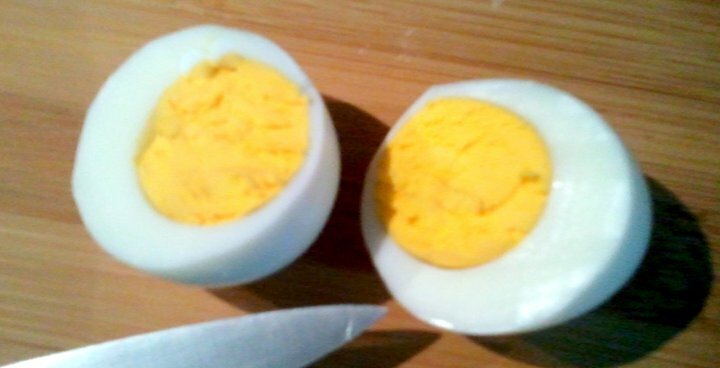 Perfectly peeled eggs – every time ! 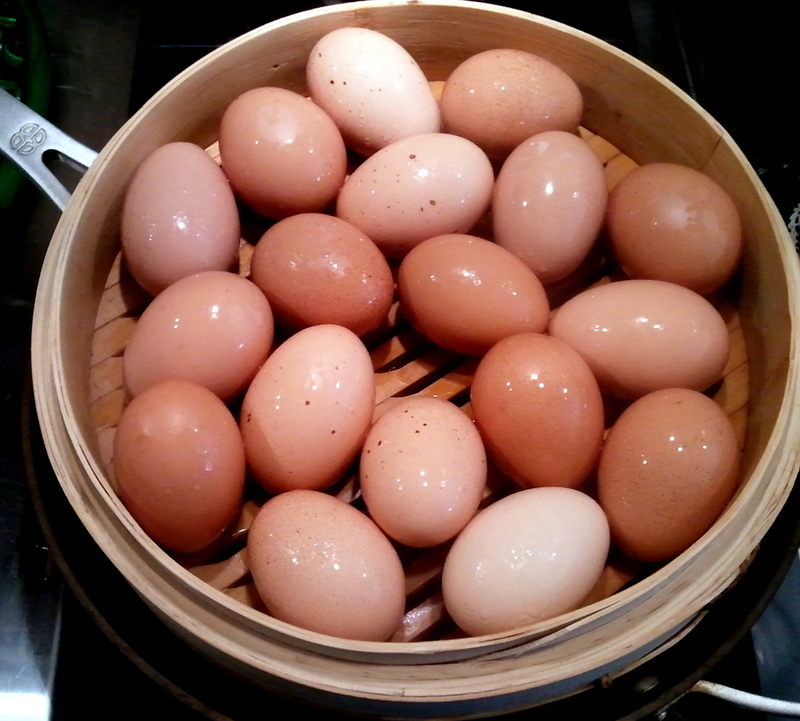 I’ve used chicken eggs, pullet eggs and even duck eggs and they all peel like a charm. You also won’t get that grayish-green rim along the yolk that results from cooking the eggs for too long and cooling them too slowly. 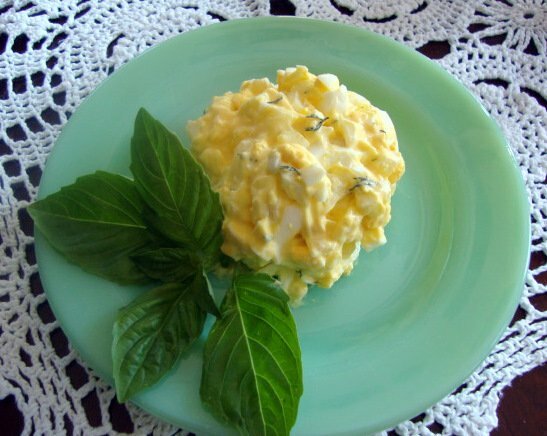 My favorite recipe to use the hard-cooked eggs in is egg salad. 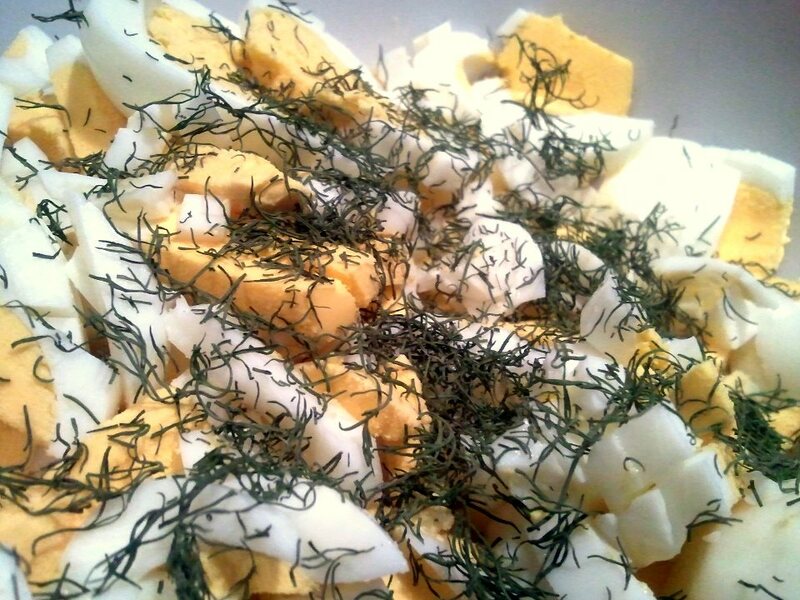 After rough chopping the eggs with a pastry cutter, I mix in some chopped onion, enough olive-oil mayonnaise to bind the mixture, a splash of apple cider vinegar, chopped fresh dill, sal de mer and some white pepper. Of course deviled eggs are another option. I mash the yolks with olive-oil mayonnaise, apple cider vinegar, a bit of sugar, and then add a bit of fresh dill, salt and pepper – and scoop the mixture into the halved whites with a small ice cream scoop. Then garnish with a cooked cocktail shrimp and a sprig of fresh dill. Try steaming your eggs. I promise you once you try it you will never boil an egg again. Just tried it. It worked really well. But then when I started to do the last of 18 from the cold water bathe they were just slipping off like a dream. So I recommend letting them cool in the ice a minute instead of peeling warmish. You are right. I’m never doing my old way again. Cooked one of the best meals in a long time in my steamer after the eggs too. Soak it in water first. 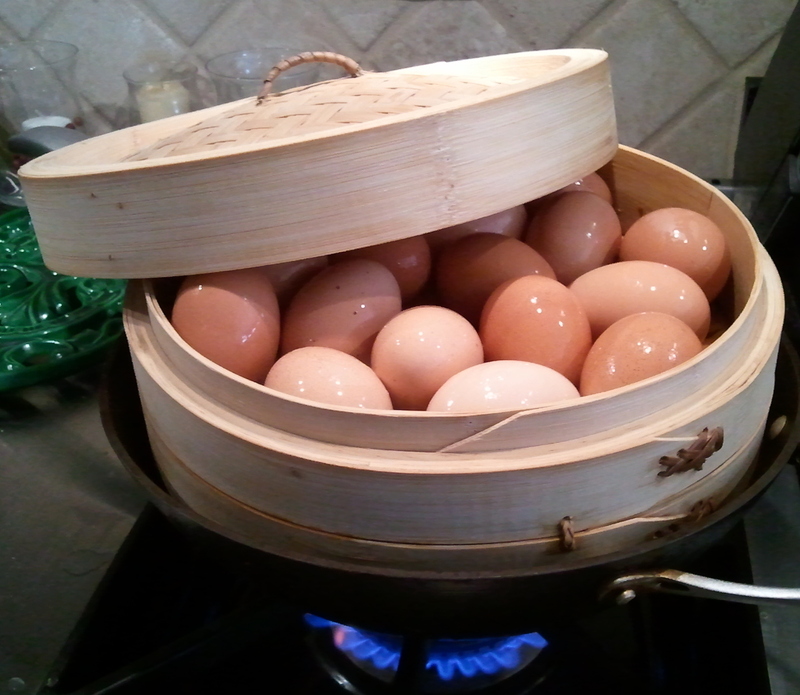 Do the eggs have to be room temp when put into the steamer? I have only done this with room temp eggs. Thank you. I tried it and it works! Yeah! Thank you! 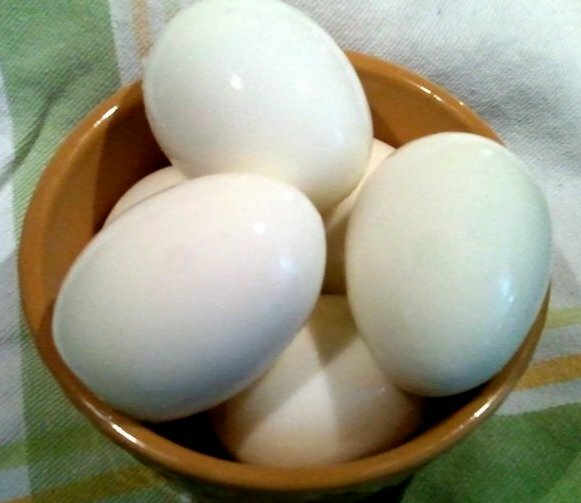 I love hard “boiled” eggs too but couldn’t do them with my own fresh eggs. The eggs I cooked this morning were laid yesterday and they peeled perfectly! Thank you sooooo much for this information! Can’t wait to pass it onto my customers! A metal steamer will work just fine! Yes, you can refrigerate them all and then peel them as needed. They still peel wonderfully. what if you want to peel as you use them instead of all at once? Will they peel easy if you just chill them? Does it make a difference to steam in a metal steamer? Thanks Lisa! I can’t wait to try this method!